Alicia is our black BB Daughter and we took her to see one of our favourite greys, Diablo. Well, we didn't get what we expected but Demi has a very unique fleece and we are very excited to see how it will develop. Demi is on the small side as are both her parents but she is solid and put together very well. 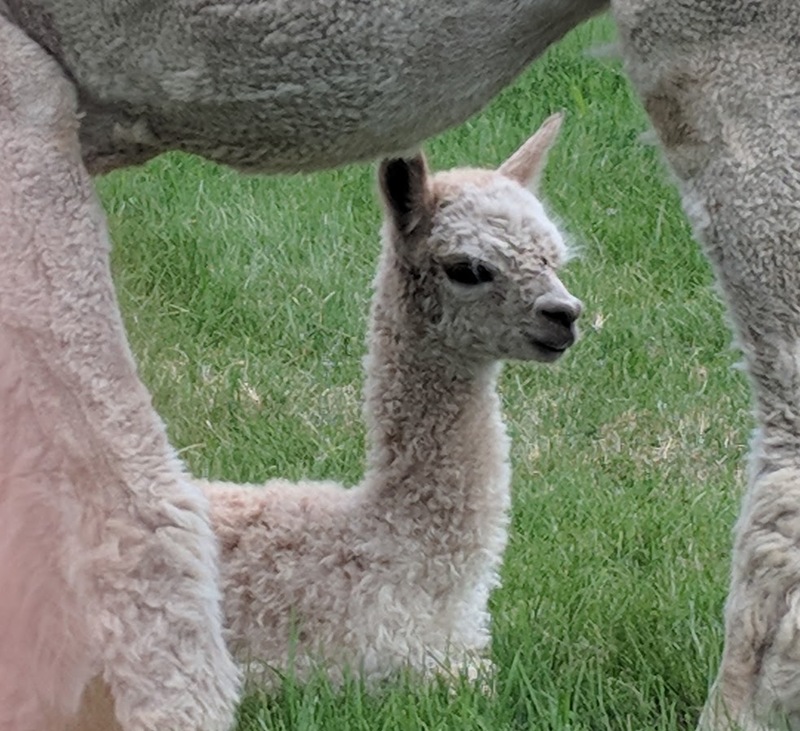 Demi had a fawn boy in 2018 with Arriba Wasabi. 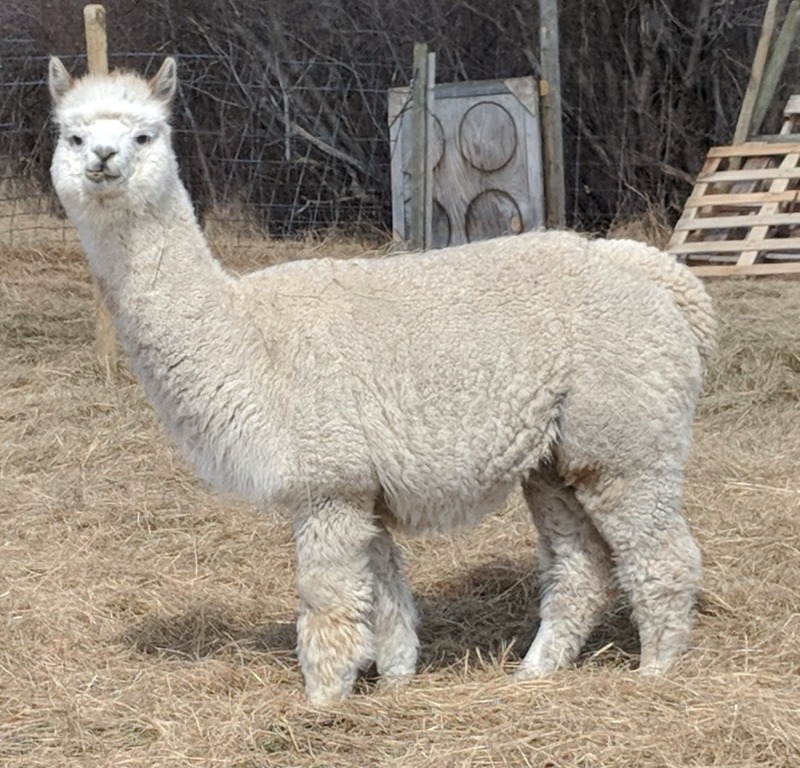 She has been rebred to Archer Burt for a 2019 cria. That will be one of Archer's last cria's so we hope he will be spectacular!